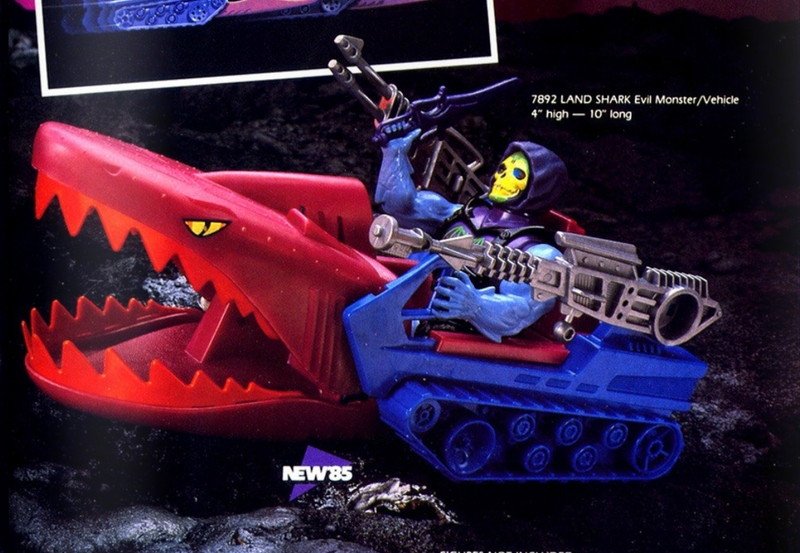 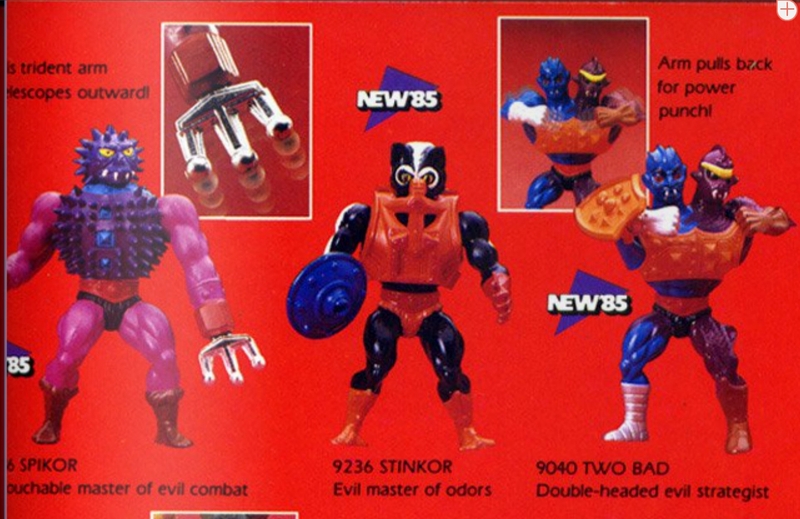 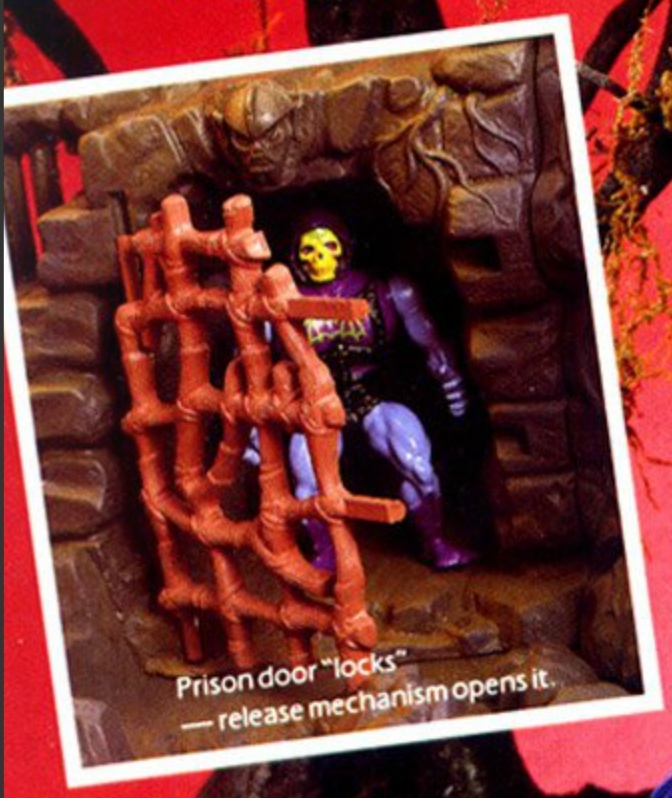 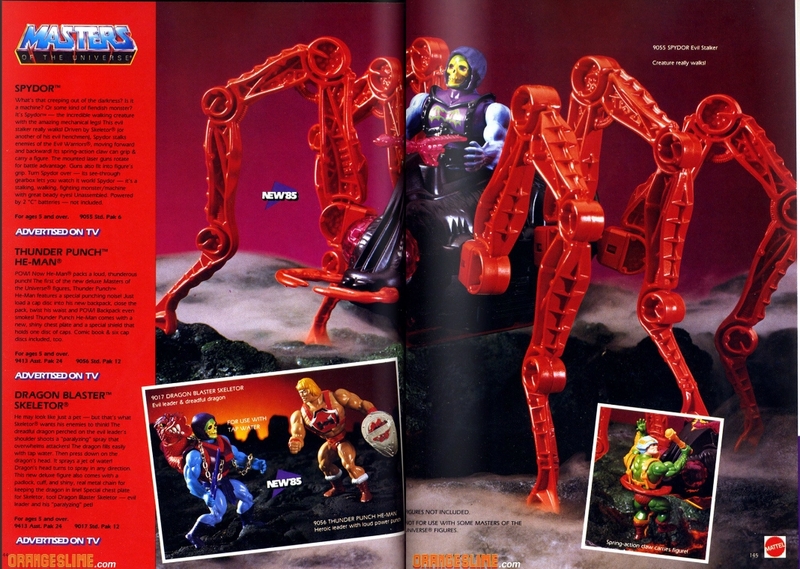 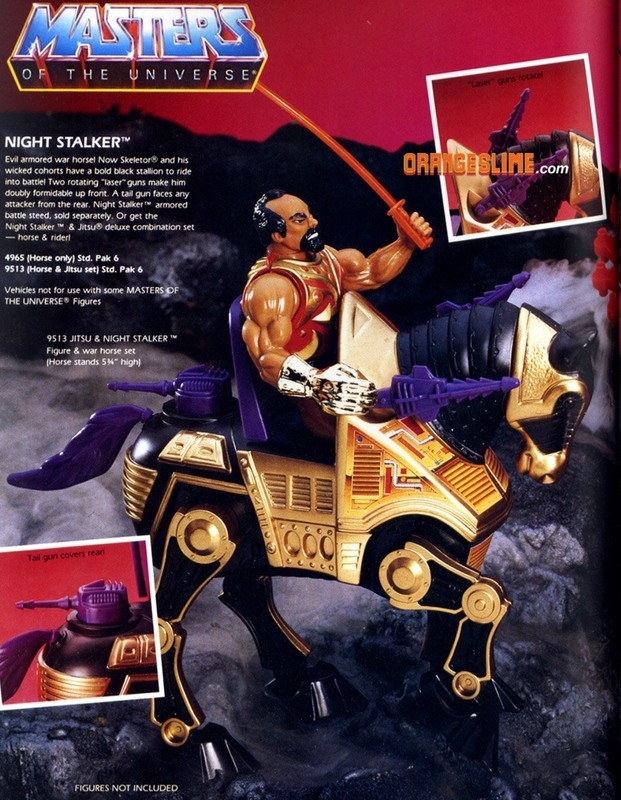 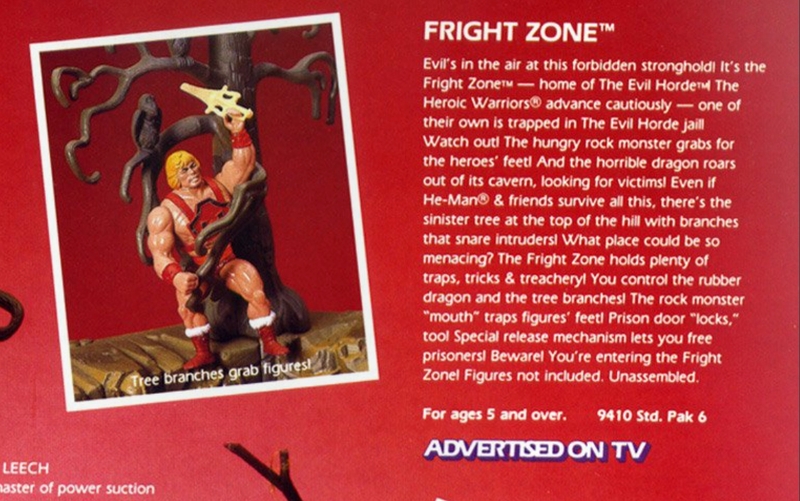 Interestingly, Night Stalker is not marked as “New For 85”, but he also doesn’t appear in the 1984 catalog. 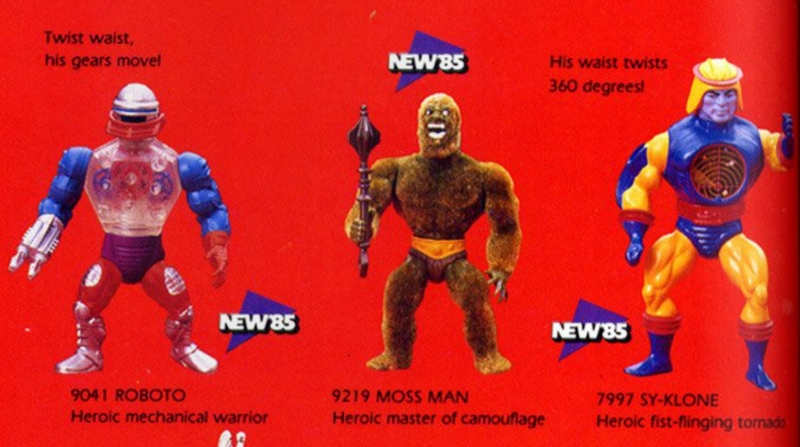 He seems to have been an in-between figure. 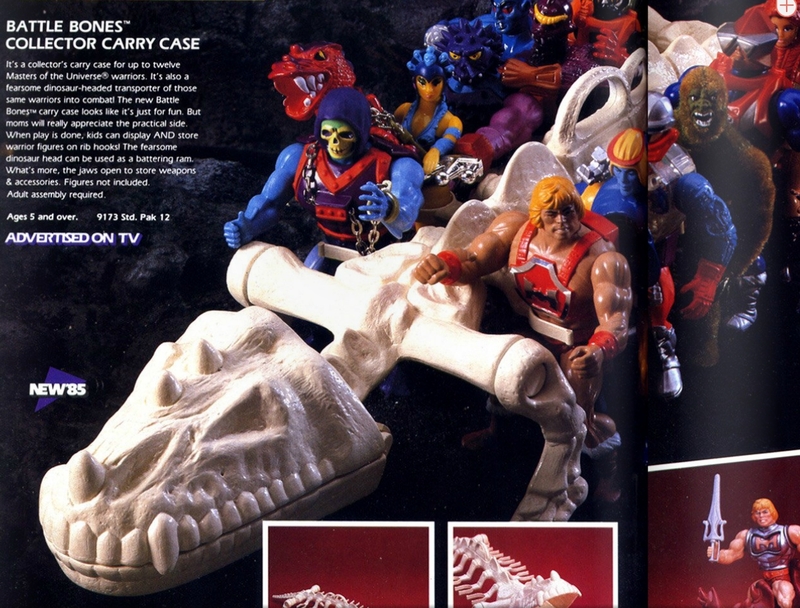 If you look closely, you’ll see that the Evil Horde figures are hand-painted casts. 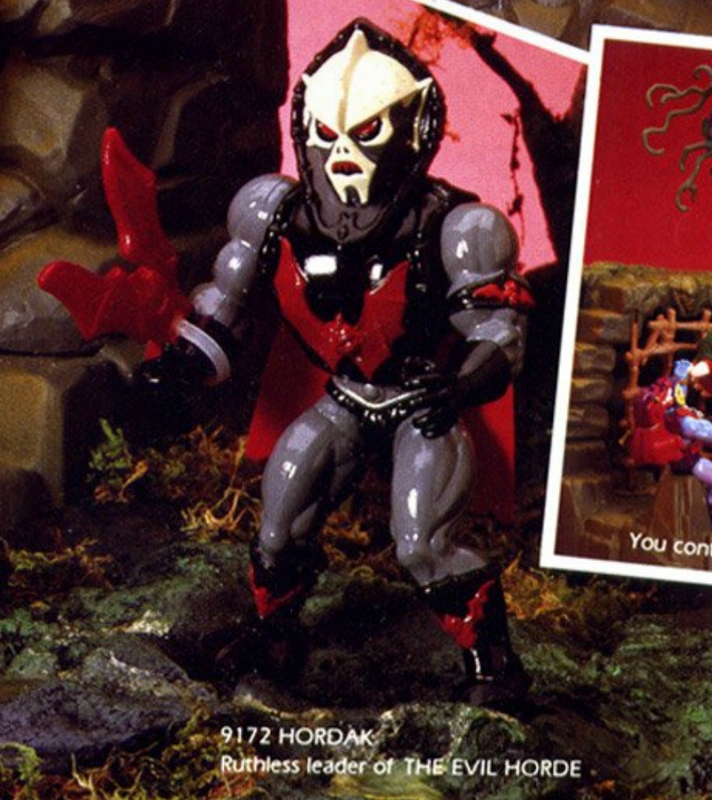 In the case of Modulok and Mantenna, there is a noticeable deviation from what would be the final color scheme. 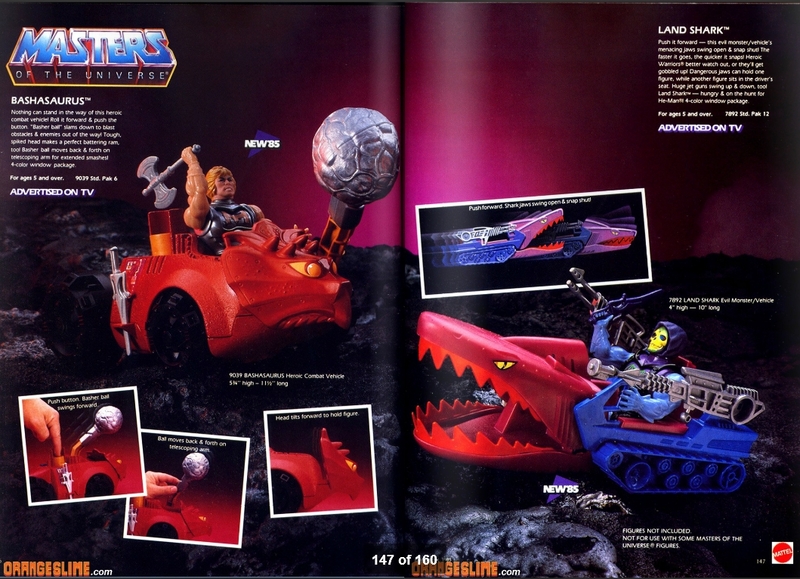 Although on page 4 Stinkor uses his blue shield, on 9 he brandish both the Webstor’s laser rifle and the Two Bad’s shield. 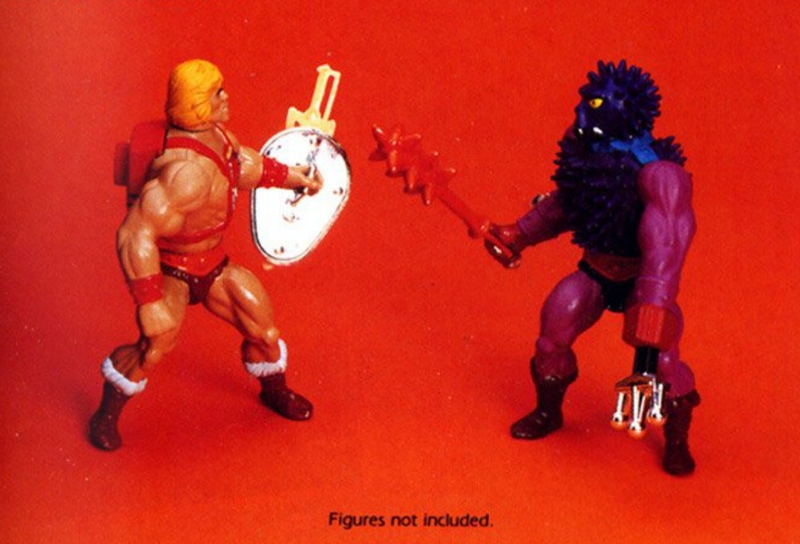 It looks like someone was carried away by matching colors and assumed that the present orange in the figure (breastplate, loincloth and boots) paired well with the orange of these two misplaced weapons. 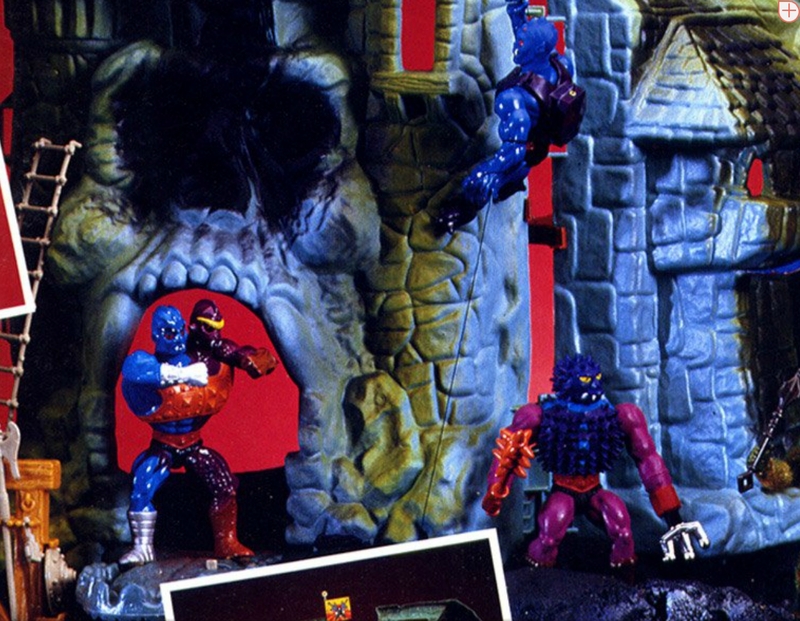 Interestingly, in Argentina the first copies of Stinkor used the correct blue shield, while the latter (those from the so-called “reissues”) supplanting it by the orange shield of… Yes, you guessed it. 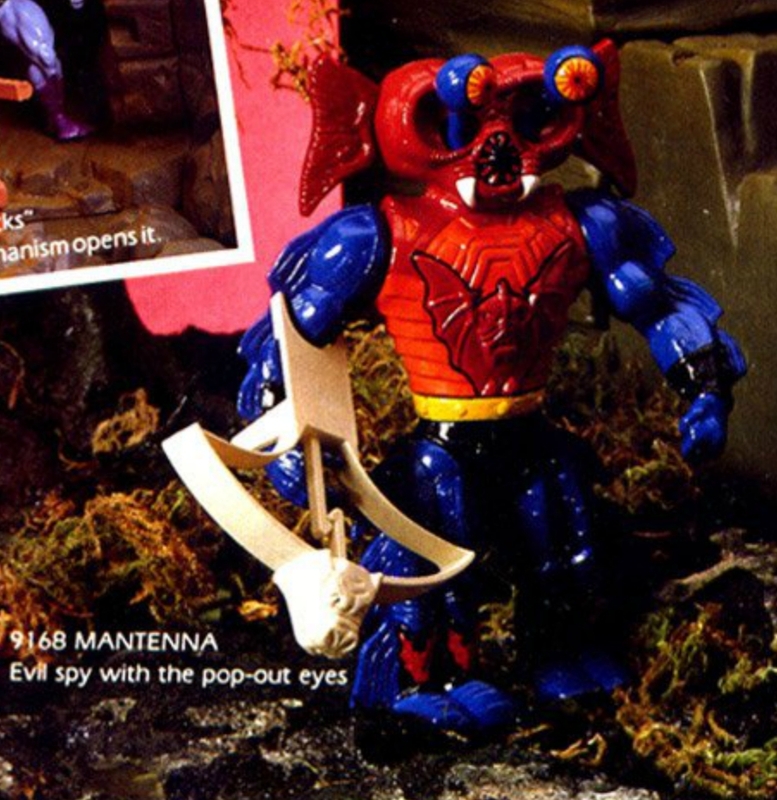 Good eye! 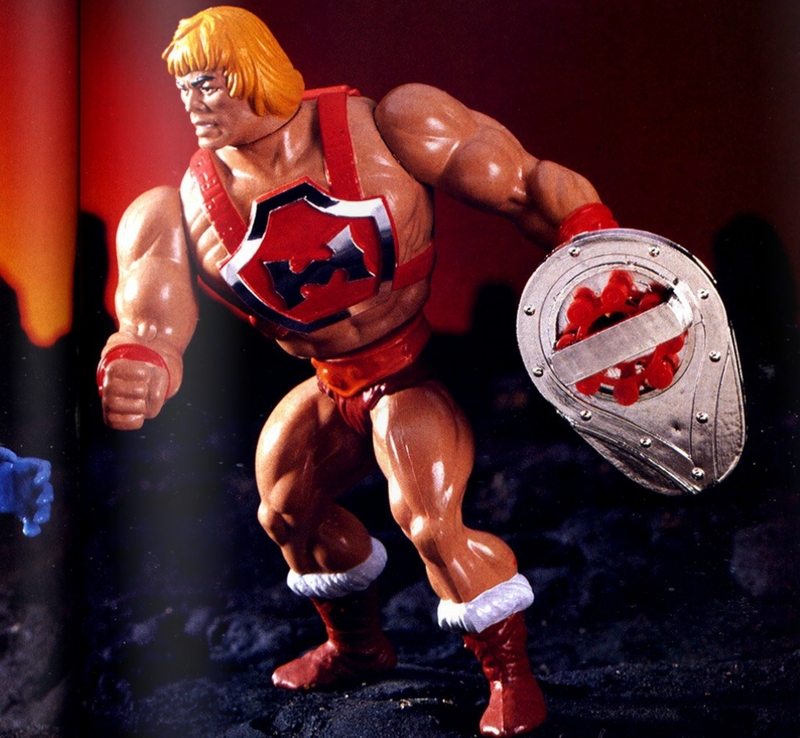 Interesting that Argentinian reissues had the Two Bad shield. 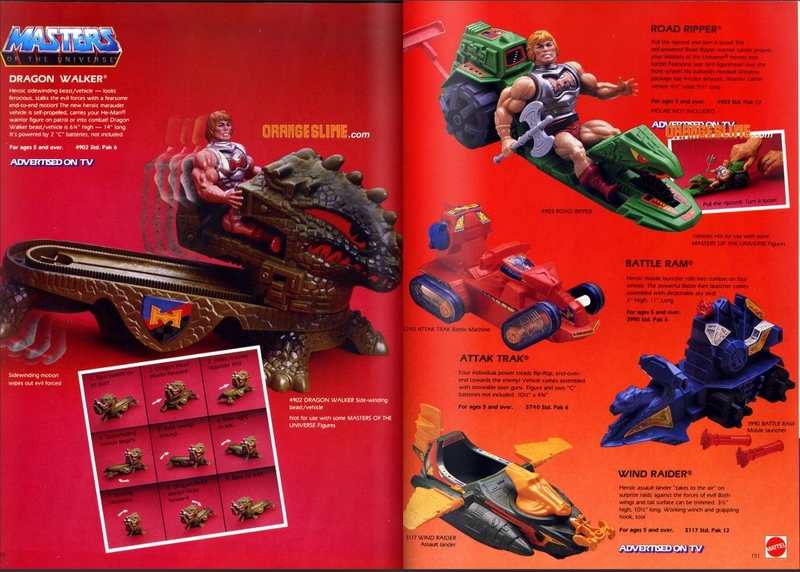 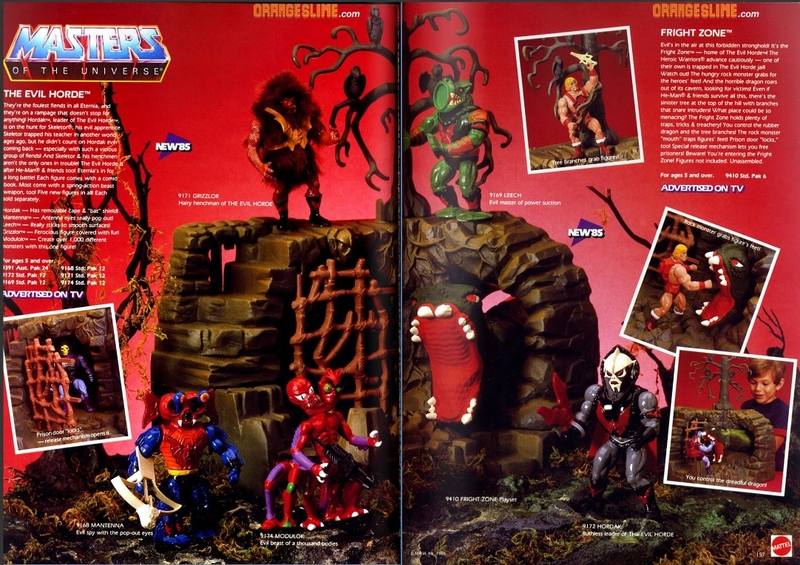 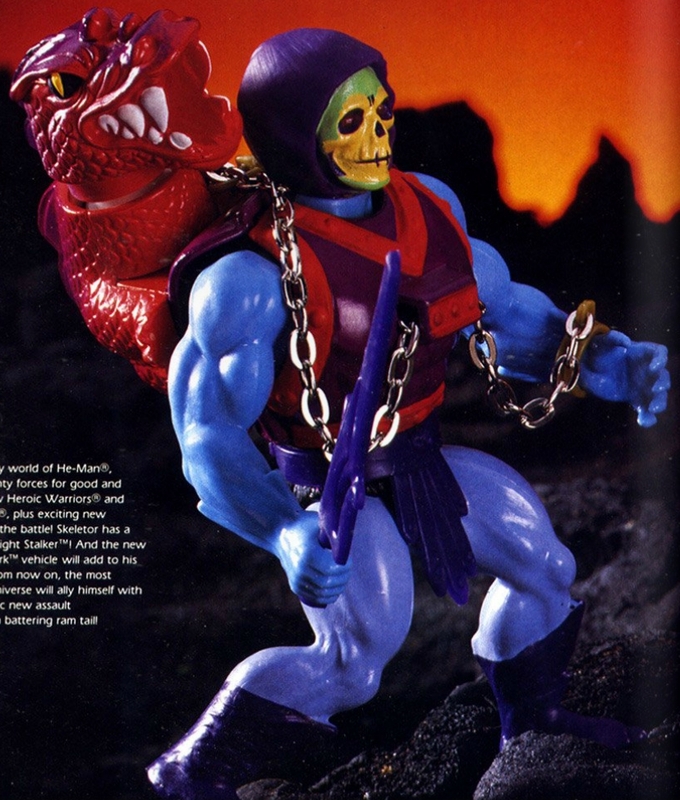 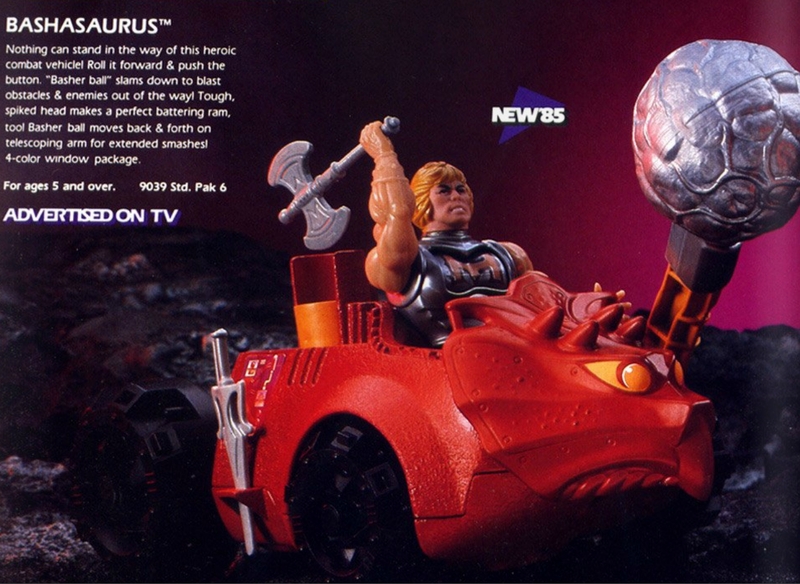 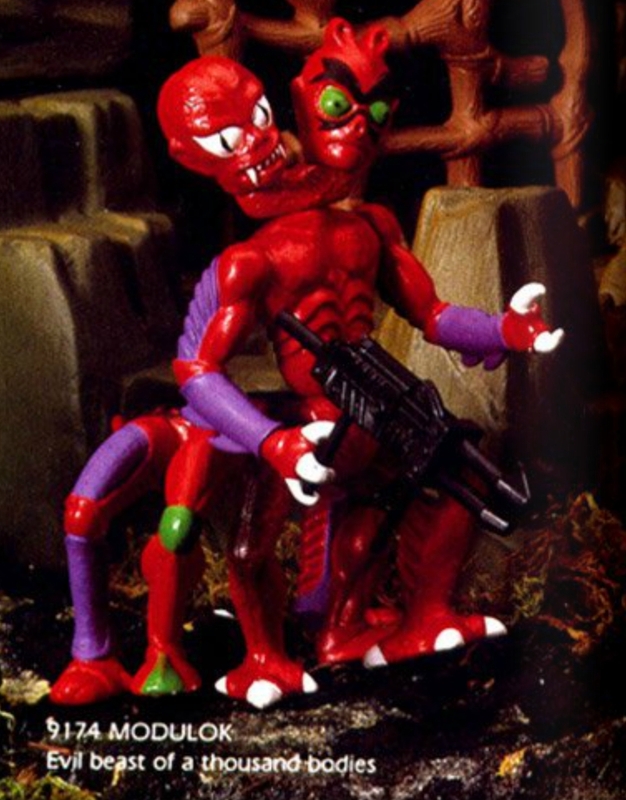 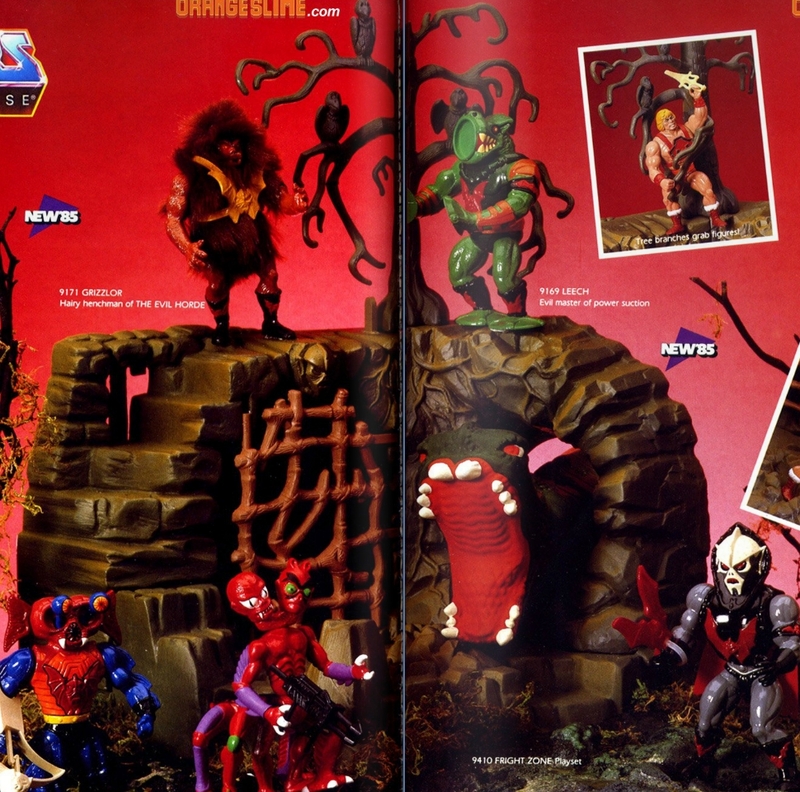 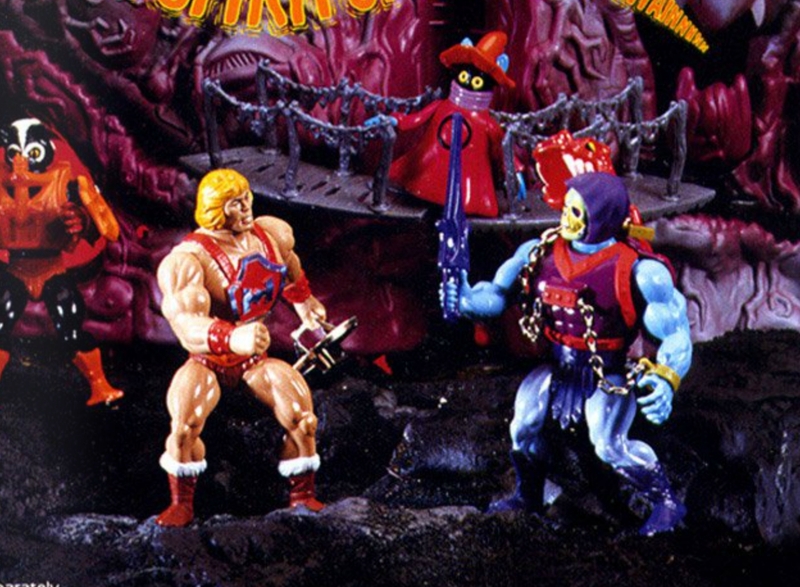 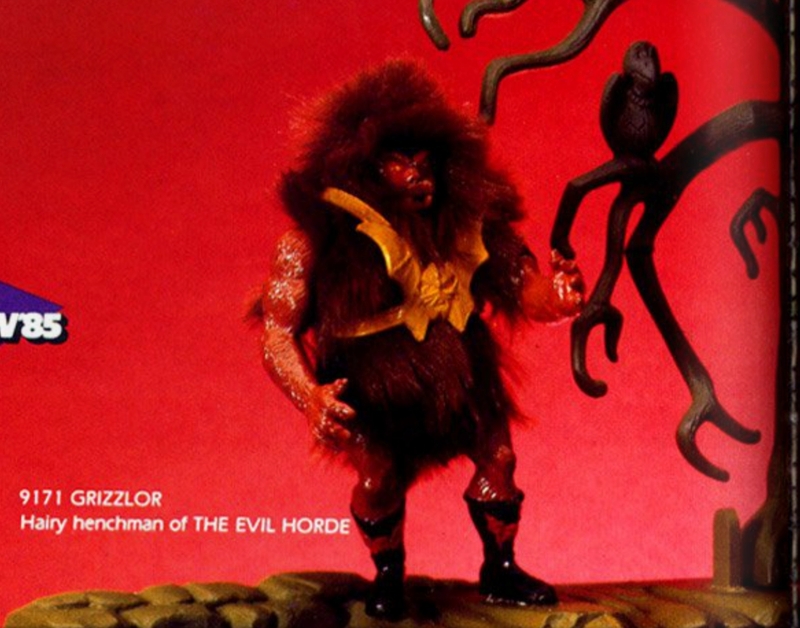 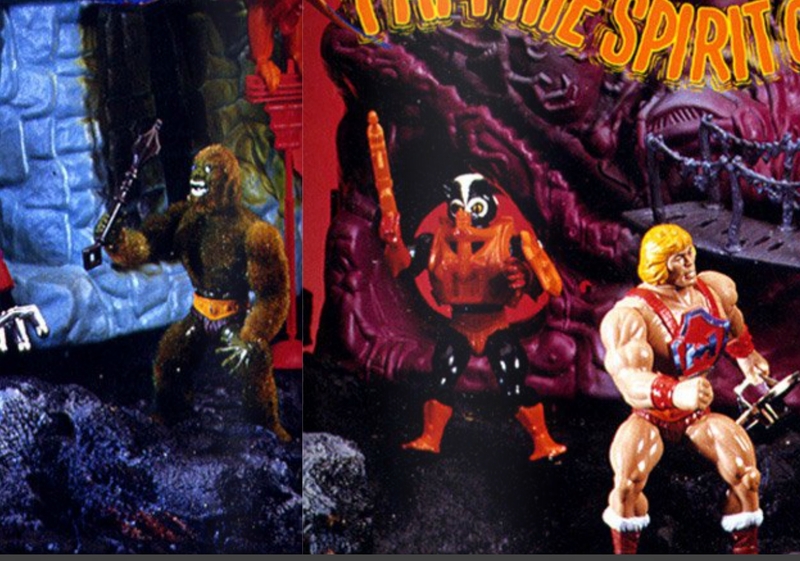 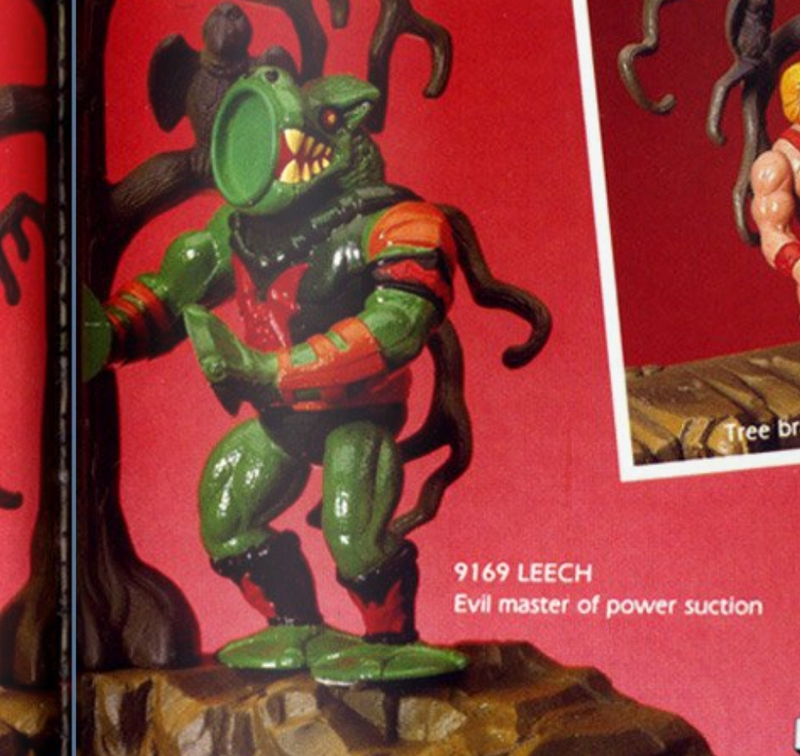 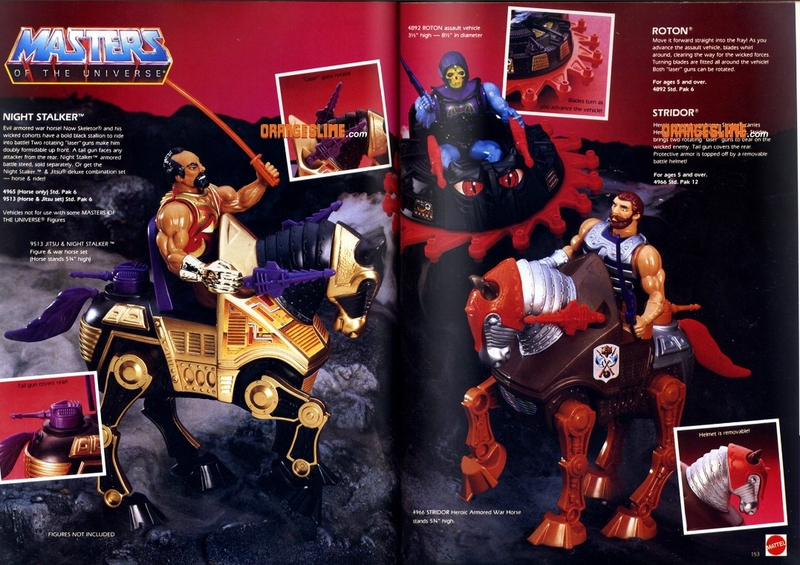 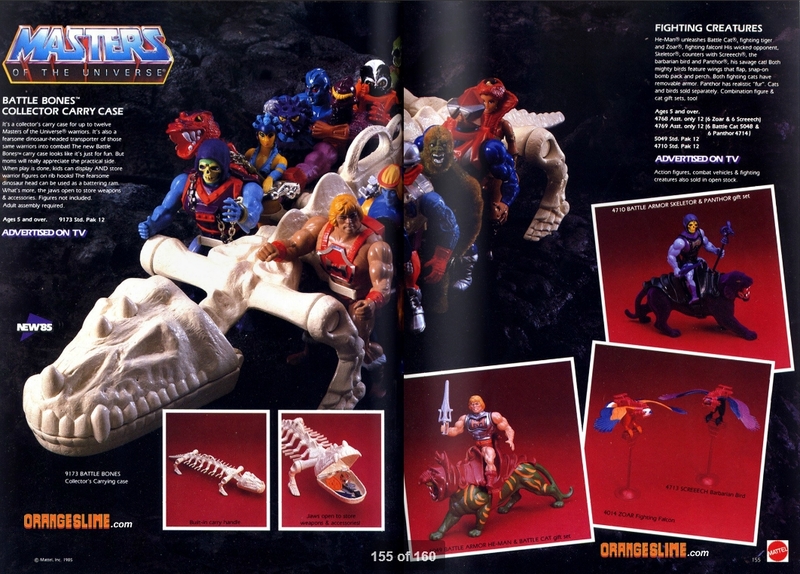 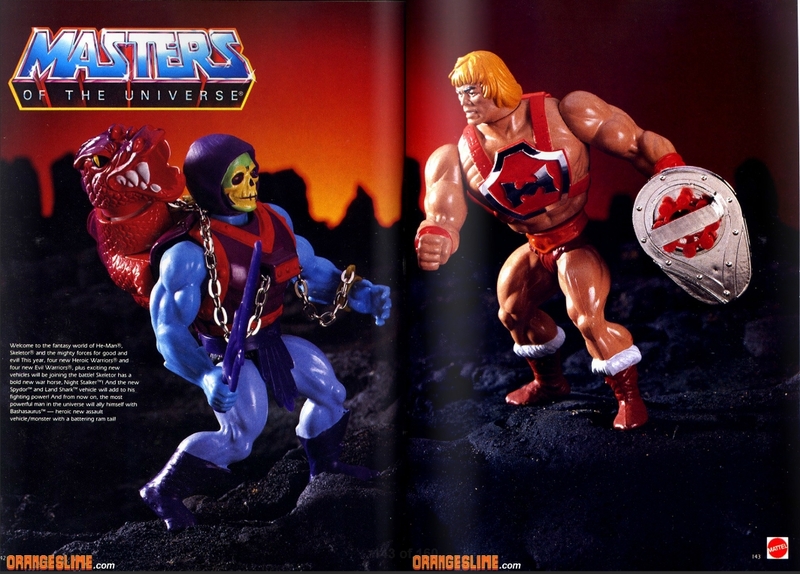 For the first two years of MOTU, just about every figure had a weapon that matched their outfit. 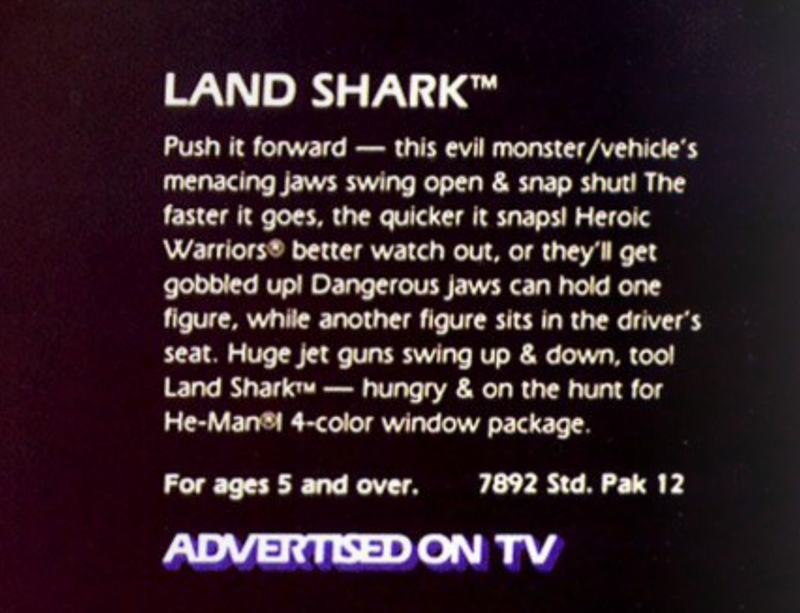 That changed starting in the third wave. 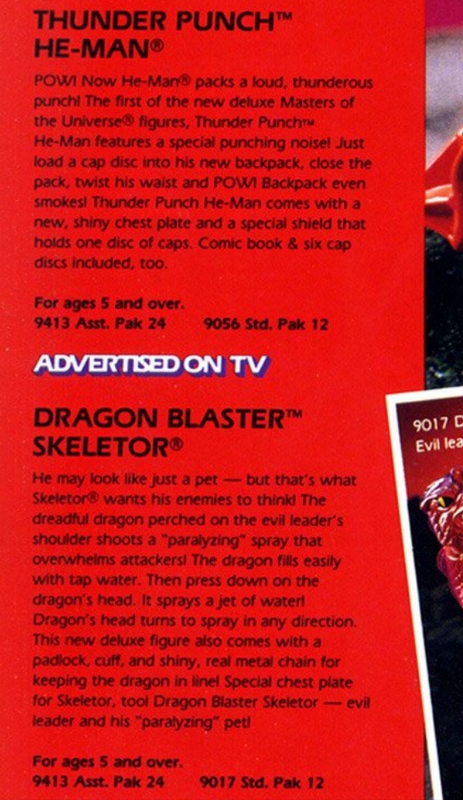 Interesting stuff. 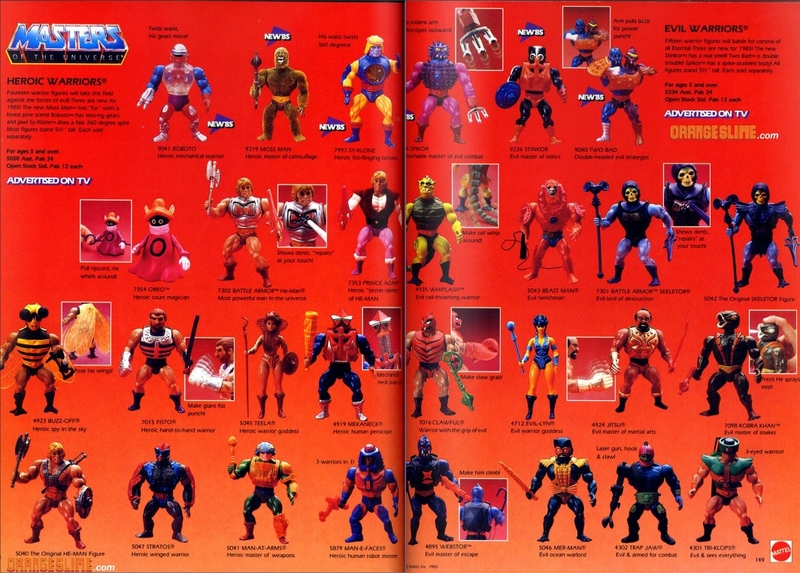 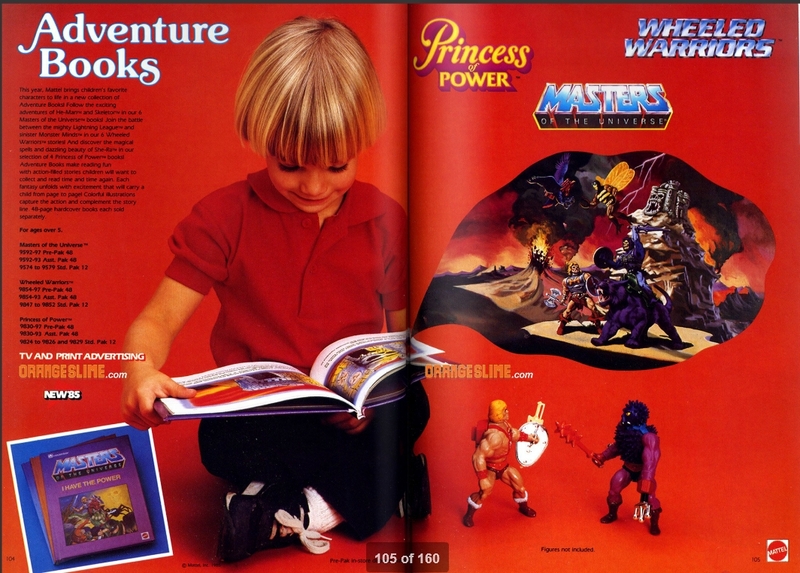 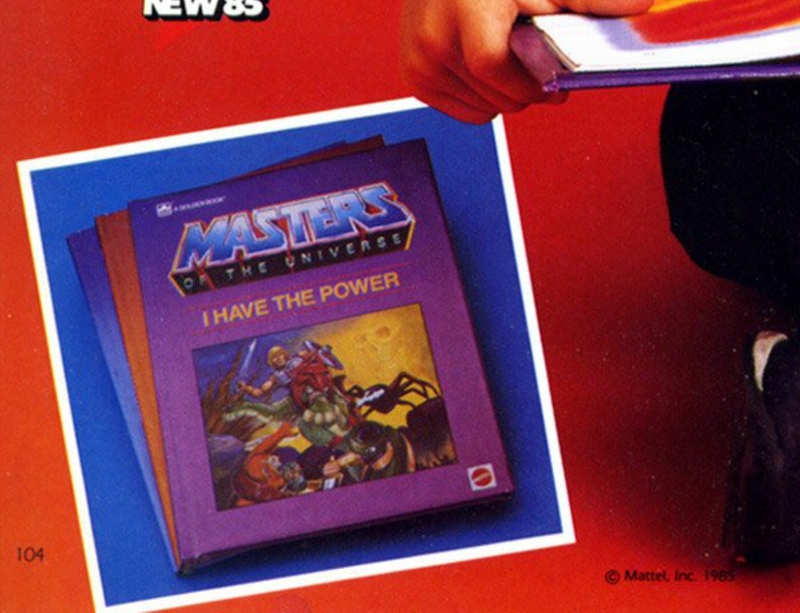 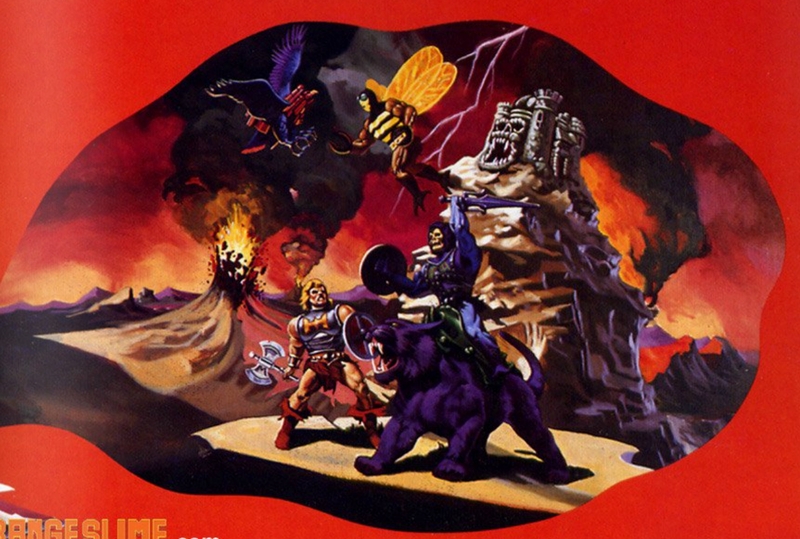 Let’s see: Silver in He-Man, blue in Skeletor, orange in Man-At-Arms, red in Beast Man, brown in Teela, yellow in Mer-Man, red in Zodac, orange in Faker , green in Tri-Klops and, somehow also, silver in Ram Man and light blue in Evil-Lyn… It is true! 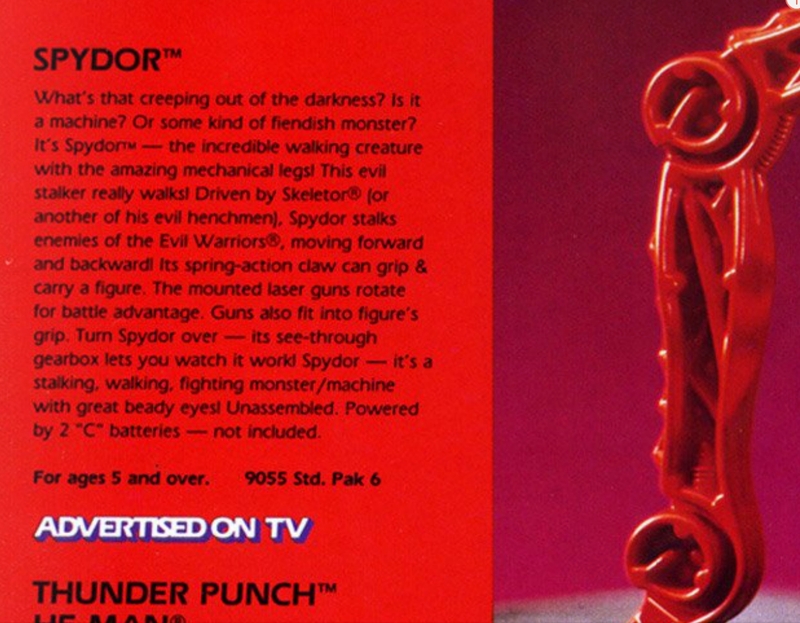 Were there industrial or artistic reasons for that? 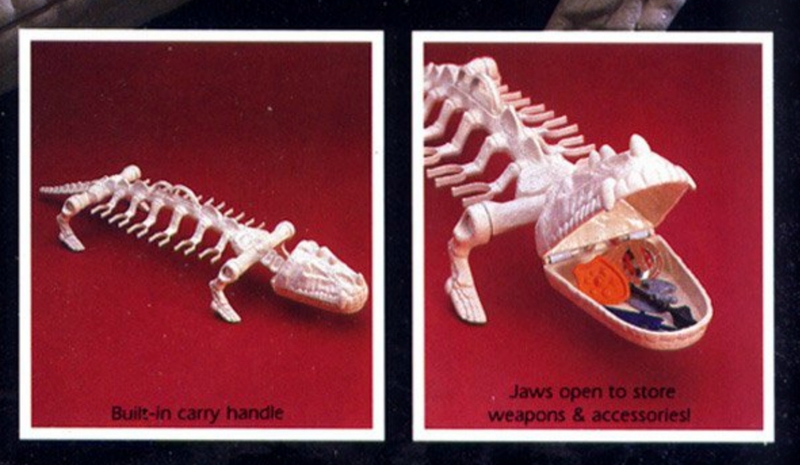 Perhaps a bit of both. 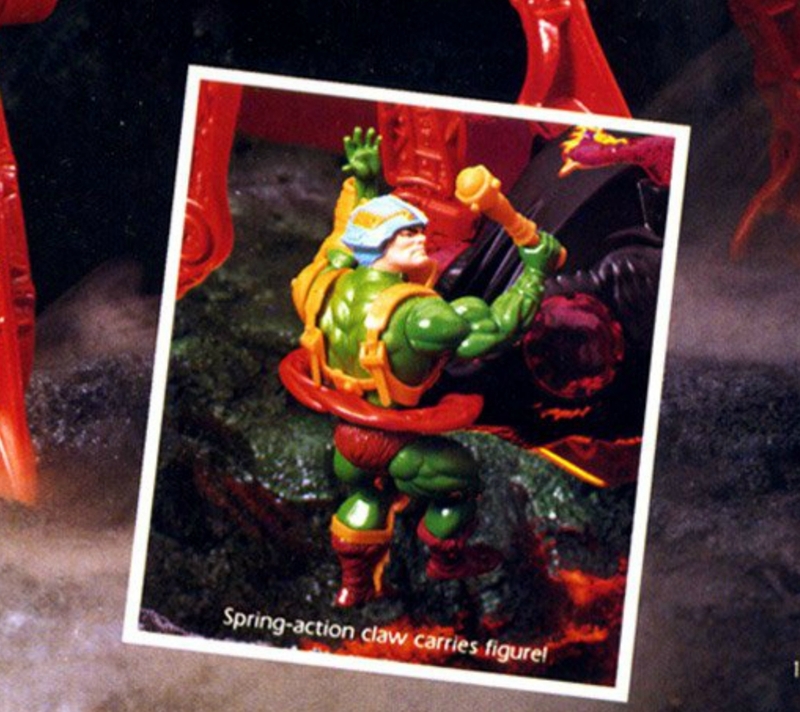 Do you remember those marginal notes on the conceptual drawings of Mark Taylor where he indicated what would be the “exclusive items” for each figure and what colors to use?. 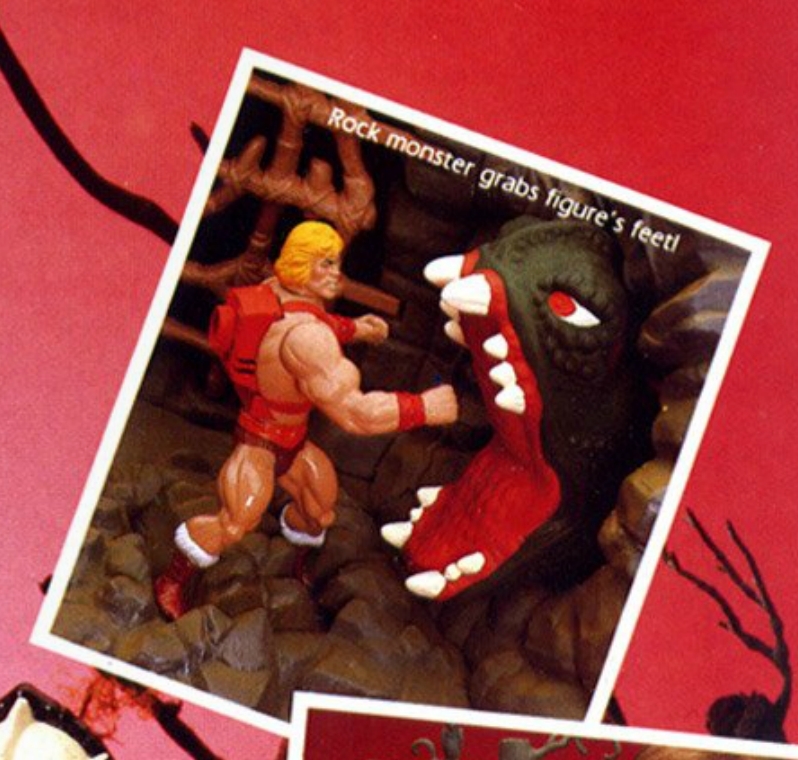 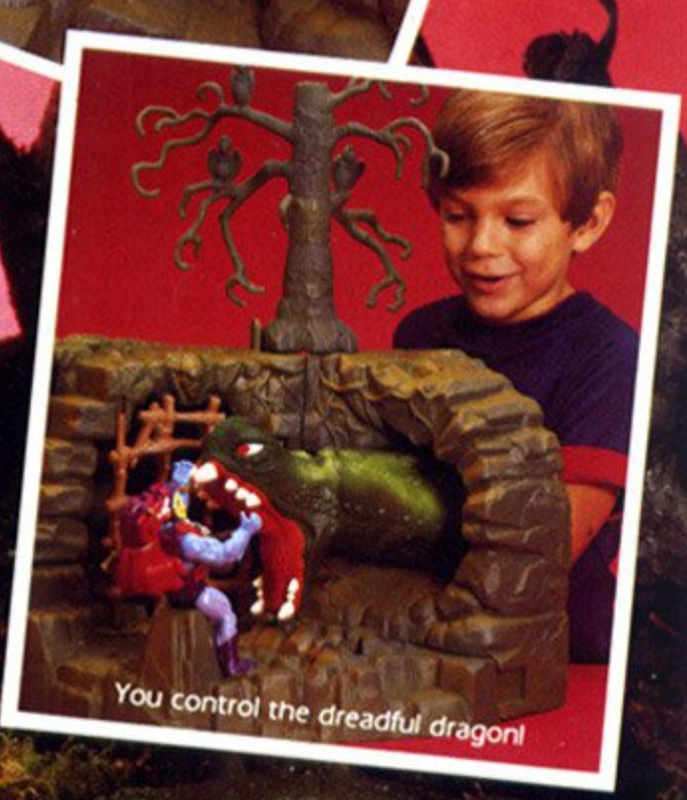 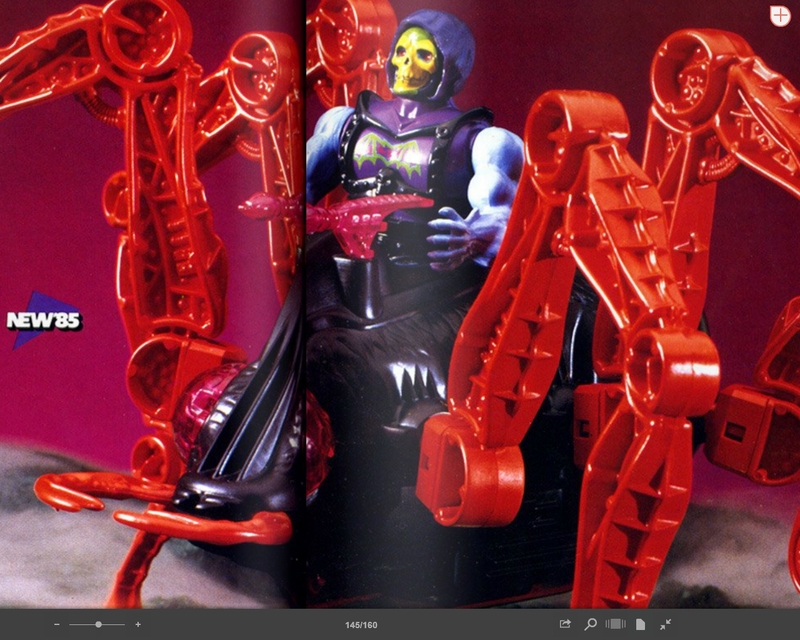 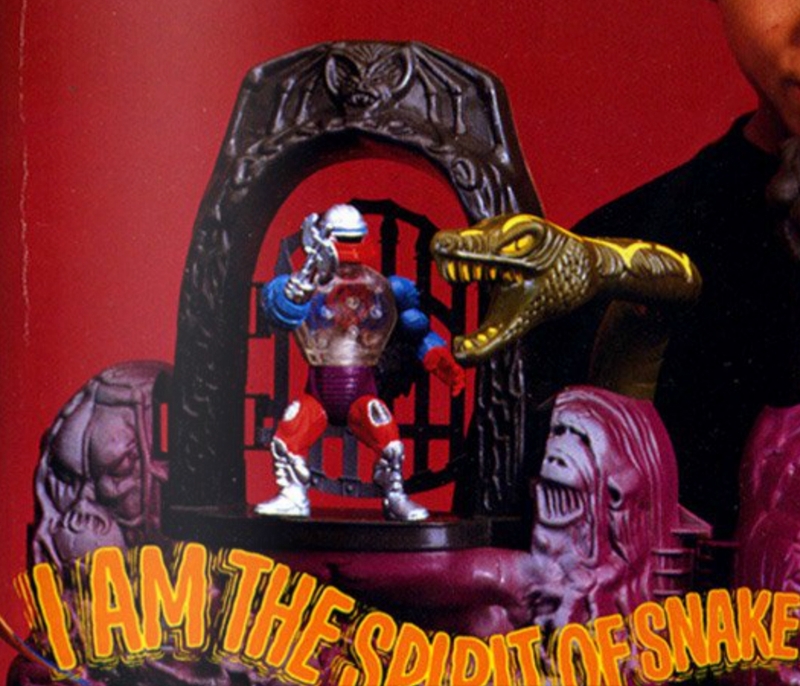 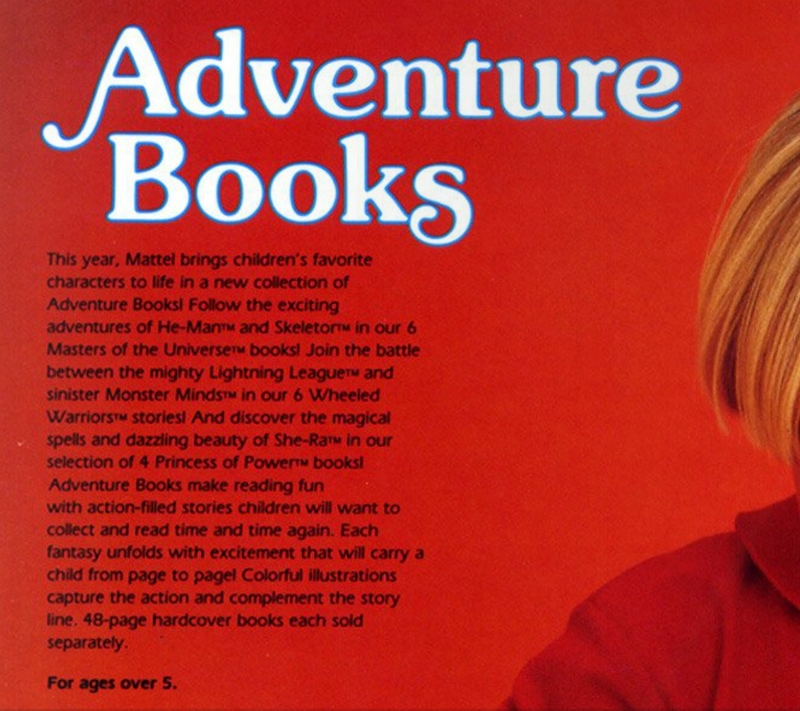 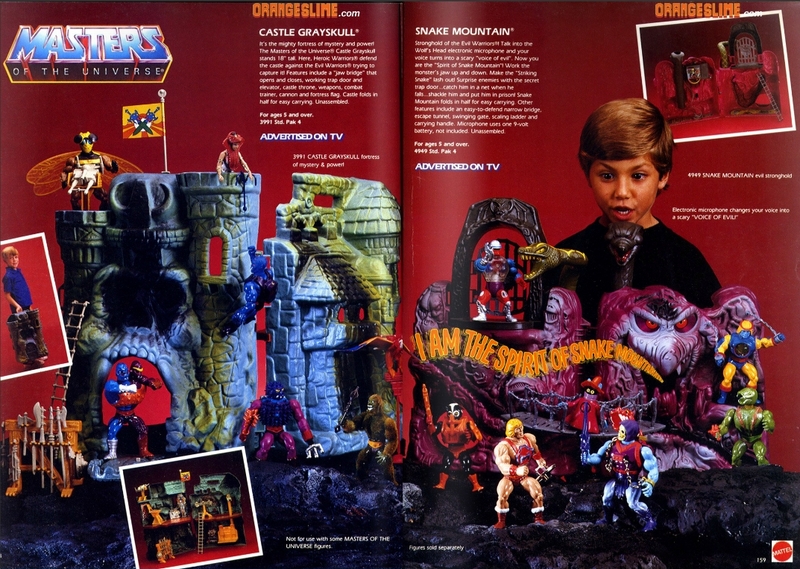 Well, those notes show something: That artistic creation of those early characters not forget the industrial parameters set by Mattel and that these, in turn, gave those aesthetic decisions a clear guidance.